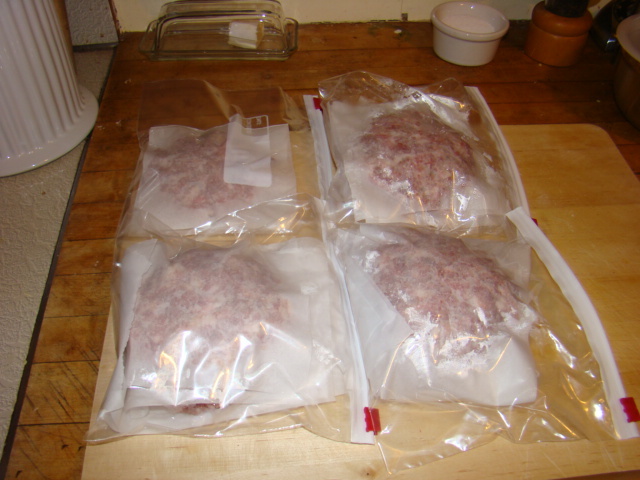 Bulk sausage is a wonderful thing to have on hand. It can be the basis of a meal, or it can be used sparingly to add a bit of richness and flavor to a dish. This sage sausage is what I think of when I think of breakfast sausage. 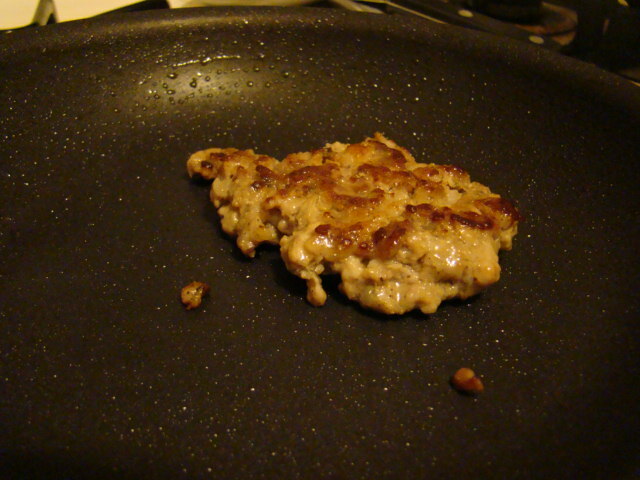 While it could be formed into links using lamb casings, in this situation I just made patties. The smell of cooking sausage is sure to rouse the deepest sleepers and have them stumbling happily into the kitchen for a taste! 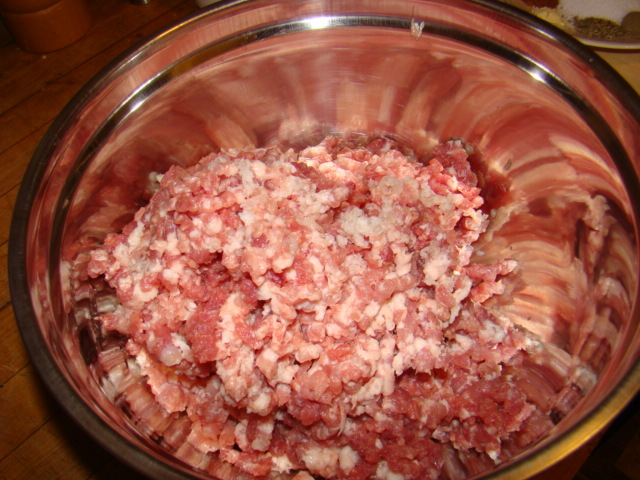 Grind the meat and fat through a 1/4-inch plate. 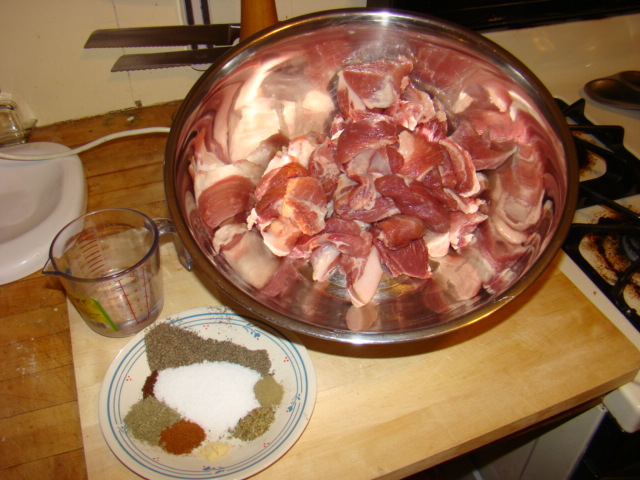 In a large bowl, mix the meat, fat, salt, sage, black pepper, cayenne, summer savory, marjoram, thyme, ginger, and cloves with the cold water. A little taste test. 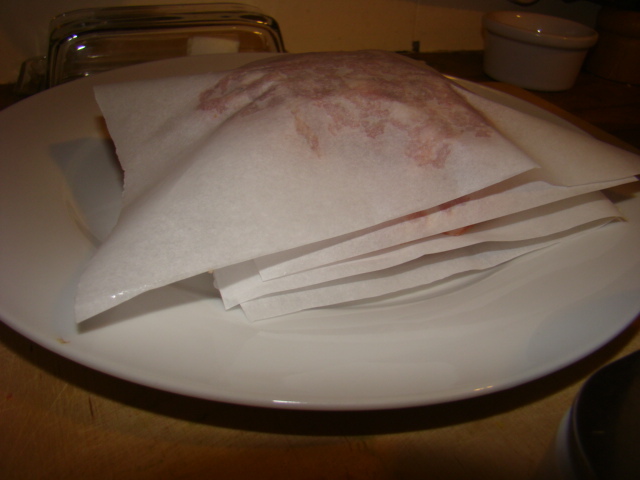 It was good, but will get better, the seasoning needs more time to meld with the meat and fat. Into the freezer to have on hand at a moment’s notice. Sorry Mark, initial plan is for some scotch eggs this weekend. A Yellow flag! Ouch! OK – this weekend I"ll treat y'all to some scotch eggs. wow – great work on this sausage! i never think of sausage as a breakfast food..of course i lean toward bacon. but wow do i love a good bolognese sauce… hum… maybe a little bit of a challenge?? i mean request… is this something you have in your bag of tricks? got any family secrets you'd like to share? Ohiofarmgirl, I did a bolognese back on Dec 6th, here's the link http://bit.ly/eEPALs. Thanks for stopping by!